Researchers at the Institute of Communications and Computer Systems (ICCS) and their partners from Attica region and the Hellenic Rescue team are holding a large-scale citizen science experiment in Kifisos river basin, from April 11th – 14th, to coincide with World Citizen Science Day on April 13th. The experts are looking for volunteers to help them test their new range of citizen science technology. The new apps – called ‘Scent Explore’ and ‘Scent Measure’ – enable citizens to monitor and track changes in their local environment. This data is then used to help improve the accuracy of existing flood risk maps and thus prevent floods in a more efficient way. The apps have been developed as part of the European Commission, Horizon 2020 research project called ‘Scent’. “This new technology has the potential to transform flood management systems across the world and make us all part of the solution,” said Dr. Angelos Amditis, Scent Project Coordinator and Research Director at the Institute of Communications and Computer Systems, based in Athens. “These new innovative apps entirely depend on the active participation of citizens. 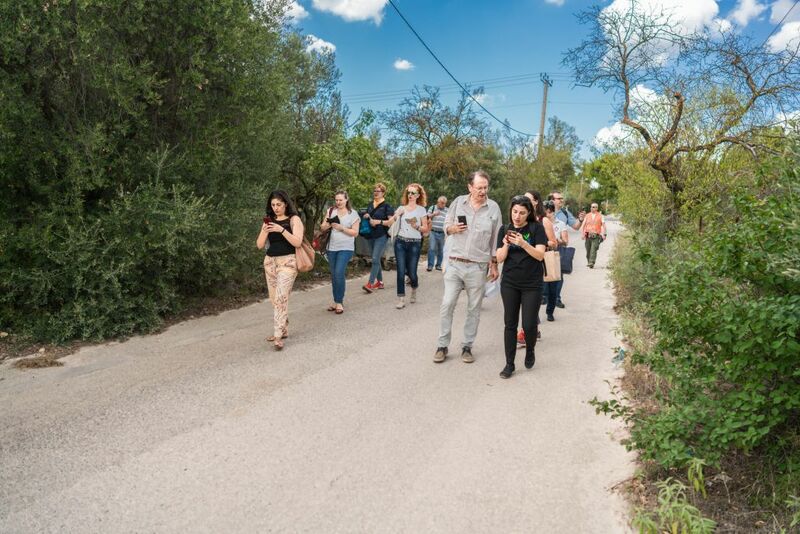 By playing the fun game on the Scent Explore app and using the Scent Measure app in Kifisos river basin, citizens can help scientists collect valuable real-time environmental data, relevant to the flood phenomena in the Attica region. The data collected by citizens is expected to enhance the accuracy of existing land cover/use maps and flood models, complement existing global mapping databases (i.e. GEOSS and Copernicus) and thus help relevant authorities to make more informed decisions for the management and prevention of the respective risks”, he added. The ‘Scent Explore’ app is an augmented reality game. Users get points for finding Scent creatures hiding in their locality. When the user finds a Scent creature, they take a picture or short video of it and collect points. The creatures have been placed in specific locations of environmental interest so that images and videos can be gathered and changes in land cover and land use as well as information about river parameters, such as water level and velocity can be captured in that exact location. The ‘Scent Measure’ app allows citizens to measure changes in soil conditions. The app uses portable sensors to measure and report the soil moisture and air temperature to your smartphone or tablet. The citizen scientists simply insert the portable sensor into the soil, select whether to measure temperature or moisture, and receive the measurements directly to your screen. If you would like to join our daily trips in selected areas of the Kifisos River basin -Kokkinos Mylos, New Philadelphia, Dhekelia and Varibobi- between April 11th and 14th, and to have the opportunity to test out these innovative apps, please register by clicking here: http://bit.ly/SCENT4thpilot. By taking part in the tests, you will have the chance to explore the natural beauty of the river basin, learn new skills, work with similar thinking people, and make a real impact on your local environment. Each group of volunteers will meet at 10am (EET) in the Auditorium of the General Directorate of Transport and Communications of the Region of Attica, (156 Mesogeion Str., Cholargos) for a one-hour introductory workshop. They will be then transported to the test locations for playing with the Scent apps and back to the Auditorium when finished, by 14:00. Scent Project Coordinator and Research Director at the Institute of Communications and Computer Systems in Athens Dr. Angelos Amditis is available for interview, in Greek or English.